Measures to tackle anti-social behaviour are bound to divide opinions. But what’s the evidence on whether and how they work? Project team member Katy Jones has written a new blog for her department at the University of Salford, with a recap on the arguments about this issue. She focuses on our fieldwork in Greater Manchester which will help build an evidence base on sanctions, support and ASB. Read her blog here. Can you help our research by taking part in a confidential interview? 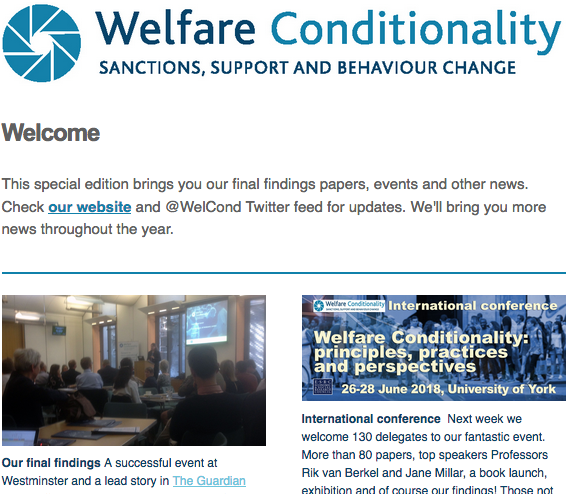 Email us at: info@welfareconditionality.ac.uk.